Reclaimed wood furniture manufacture (PERMATA FURNI) Was founded by Mr. Erie Sasmito in Semarang Central Java – Indonesia, starting the company by restoring & finishing broken cabinets and dirty old dingklik tables export to The Netherlands in 1998. As the business growing, in year of 2000 the company build their own production facility with size 11,000 SQM complete with Kiln & Dried Facility. 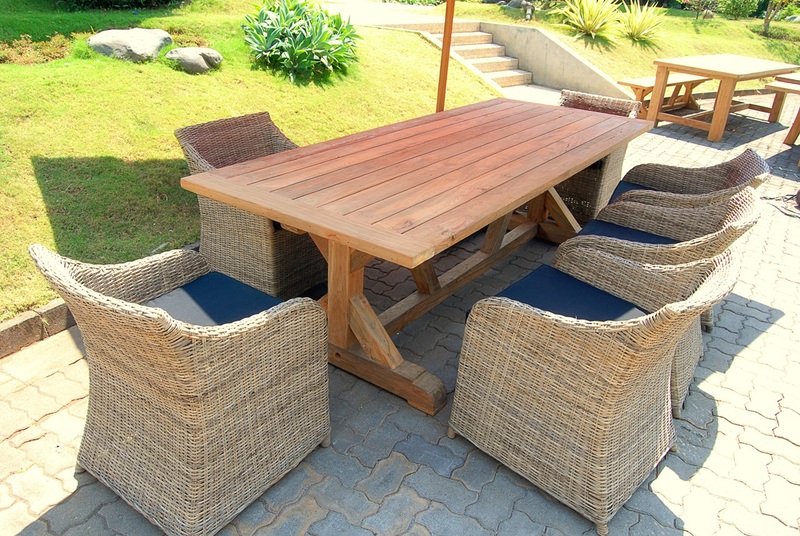 These recycled teak combine with stainless steel, iron and durable polyfibers and reliable outdoor fabrics. Pure minimalist shapes and natural untreated materials work to create unique reclaimed furniture pieces of comfort and beauty. In 2010 , Permata Furni was certified FSC Smartwood ( CODE : SW-COC-004901 ) to support the environmentally friendly furniture production for indoor as well as outdoor. Focusing on reclaimed wood furniture, we become one of the biggest producer in Semarang Indonesia for this category. 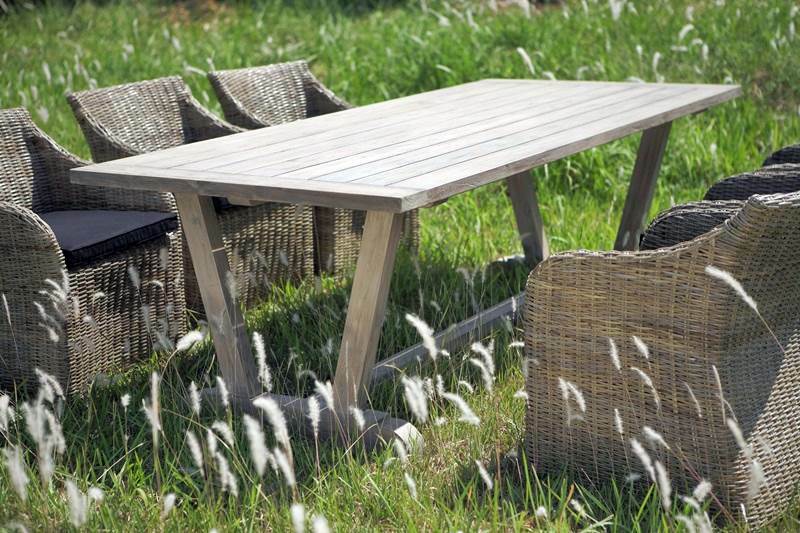 Because we concern with the environmental issues related to the sourcing of wood used in the our furniture production. Teakwood or called “Tectona Grandis” is a tropical hardwood tree nature to south East Asia and Indonesia and is commonly found as a component of monsoon forest vegetation. It takes at least 50 years for a teak tree to grow and reach diameter of 40 – 50 cm. However with the current rate of deforestation due to high demand and wide range of usage of its timber for furniture, decking, etc, the populations of teak trees in Indonesia are endangered. Recycled / Reclaimed teak wood comes in many different sizes such as supports, frames and posts and we carefully select them to be used in different products, mainly used in reclaimed wood dresser, recycled cupboard, reclaimed table tops, and recycled chairs. Why FSC it’s so important? FSC stands for Forest Stewardship Council which is an international independent non governmental and non profit organization to promote responsible management of the world’s forests, while Smart wood is an independent organization accredited by FSC to certify forest manager and forest product producer to FSC standards. We care about our environment and we want to prove that our products are not damaging the environment. 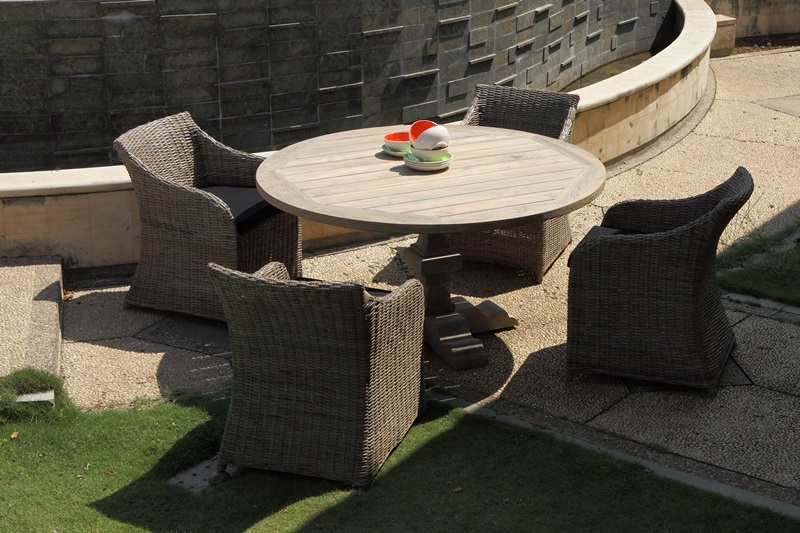 We agree that the aims of FSC and our FSC label is the guarantee that the wood used in making our furniture is made from 100% recycled / Reclaimed teak. It was verified by an annual audit from the Smart wood Program of the Rain forest Alliance, accredited under strict criteria from FSC.